Whilst Jurassic Park was an adventre 65 million years (give or take) in the making, the debut album from Ireland's No Not Ashes has been brewing for just 35 years, since the band's formation way back in 1983. Although they were singned in 1988 and recorded an album it was never released. This, however, is not that album, as after reforming in 2013 and finding out people still liked AOR they've recorded a fresh new album for our listening pleasure, and a pleasure it is. Whilst nine of the ten tracks here are fresh as a daisy (although one is a cracking cover of Rick Springfield's 'Souls'), I guess we should start with 'I'm Back', the sole survivor from the band's original days. It says a lot that if pressed to pick the older song without any othert information I wouldn't have had a clue, as 'I'm Back' slips into the middle of the album without any surface ripples at all. All ten tracks here are of a similar quality, and that quality is high. Laid back, melodic AOR with a blues edge, No Hot Ashes show a real understanding of what makes a good song. Straight off the bat, opener 'Come Alive' showcases this with a solid rhythm, a sweet riff, nifty guitar solo and fine melodic vocals from Eamon Nancarrow. 'Good To Look Back' ups the ante with an even catchier refrain coupled with a nice inclusion of a strong keyboard presence, and it's clear that the album is going to be a keeper. Sure enough, there's not a duffer in sight, with melody piled upon melody throughout, mixed with a little funk and blues when approriate. 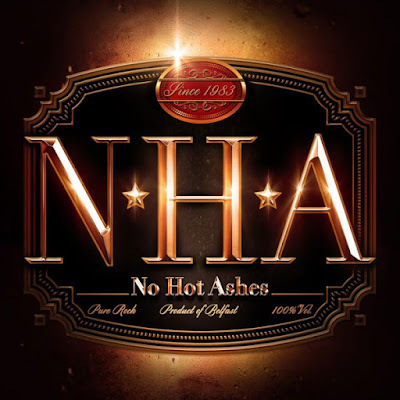 No Hot Ashes may not have got their shot back in the day, but against the odds they've come back to become a genuine melodic rock prospect. Seriously, this will be one of the best purchases you make this year if you like quality AOR played with a genuine passion. Me, I'm looking forward to seeing them on tour and singing along with each excellent track .Hot stuff indeed, just don't confuse them with the other No Hot Ashes band because you will certainly come off with the concolation prize.